Your InVision experience is improving as we work to squash bugs and release new features. Here’s an account of the improvements you’ll find in the latest releases. A few performance improvements here. A couple bug fixes there. A fresh coat of paint. And, voilà! Light and dark themes: You're not seeing things—we've made some changes to both themes to increase contrast and make the highlights really pop. Improved zooming: Details matter, so if you zoom way in you'll notice improvements to the accuracy of rendering the pixel preview. Better editor performance: Dragging, resizing, and drawing layers is a little snappier after our latest under-the-hood performance improvements. Easier to update: Checking for and installing updates got a little easier, with a fancy new window to read these release notes to boot. UI refinements: You should notice a more consistent and polished Studio experience (fingers crossed), as we've implemented various user interface (UI) refinements. Issue with paths: When the width of your path stroke is smaller than the last line segment, rounded end caps on the path will now render as expected. Problem with preset transitions: Your Push left or Slide up transitions should be nice and obvious again. In release 1.7.0, preset transitions were not animating as expected. Combined shape opacity: When you edit the opacity of a combined shape, Studio will now calculate and apply the opacity of the individual paths correctly. Text color bleed: The base color of a text layer will no longer bleed through when you apply a fill color on top. No Band-Aids needed, either. Cropped color picker: The color picker no longer gets partially cut out of view when you open it from some areas of the Inspector panel. Shortcut troubles: The previous Studio release (1.7.0) included some fixes for keyboard shortcuts; unfortunately, we unintentionally changed some shortcuts in the process. All the shortcuts should be back to normal now. See all our Studio release notes. Onboarding for Enterprise collaborators: When a new Enterprise collaborator—with or without an InVision account—accepts an invitation, they will see our onboarding flow to help them get started. Previously, the onboarding flow was only visible for users who created new accounts via the main registration page on InVision. Faster loading for Studio prototypes: When working with Studio prototypes that have been published to InVision, the prototypes will now load more quickly on the web. Get published sooner: When publishing a prototype from Studio to InVision, you'll notice a big drop in publishing time required—reduced by 33%! If only we could help get your memoirs published that easily too! Play button on screens overview page: When hovering over a given screen on the screens overview page of a Studio prototype, now you can't run into the bug that had sometimes caused the Play button to get clipped on the right side. Pasting text into title field: Now you can paste text into the title field of a Studio prototype on InVision without throwing the formatting for a loop. Previously, pasting text here was causing bad formatting. Overlay background transparency: When working with mobile prototypes, the overlay background transparency setting no longer gets applied across the entire screen, outside of the device frame. Studio prototypes: Enterprise customers will now enjoy a consistent viewing experience for Studio prototypes, as expected. Upgraded runtime: You may notice improved reliability, security, and performance with this release, as we have upgraded the runtime engine for InVision Cloud. 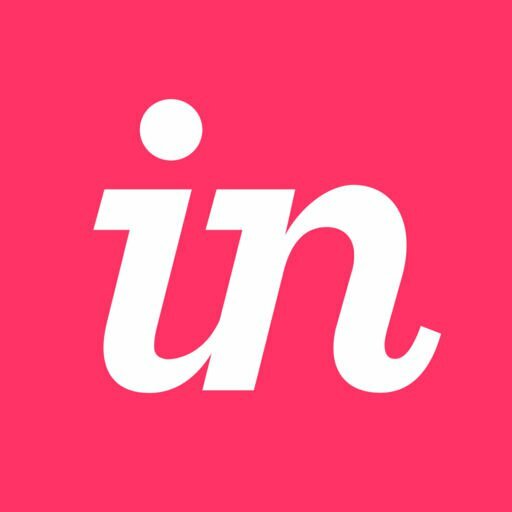 Mobile browser sign in: If you need to sign in to InVision via a mobile browser, you can now access InVision on the web, though it was not designed for responsive resizing. Studio public links now work as expected in the Confluence Add-On and the Trello Power Up. All Studio links now unfurl as expected in the Confluence Server Add-on as well as the Trello Power Up. Bulk delete hotspots: Now you can bulk delete multiple links created with Craft Prototyping! We heard your feedback that deleting numerous hotspots can be a very tedious task if artboards with links are copied or if you simply want to start over. To bulk delete hotspots, select the appropriate layers or artboards in Sketch, click the Craft menu, click Prototype, and click Delete Selected Hotspots. Layer style overrides in Inspect: Now Inspect will display the styling—e.g., color, border, blur—of the symbol instance override as expected rather than display the info for the master symbol. Color fills of vector tool shapes in Inspect: Now Inspect will also display background color fills for vector tool shapes as expected. Signing in to Craft Manager: When signing in via Craft Manager, you can now enter https:// in the Team Domain field without experiencing a crash. Craft Player will now correctly load Sketch files with extended characters—e.g., ampersands and spaces—in the file path. Craft Player will now render overlay screens correctly. Craft Player links will now respect the Maintain scroll position after click prototype setting. Craft Player no longer displays blank space on the right side if the macOS preference is set to Always show scroll bars. Dark Mode issues: Stock plugin now correctly displays dark mode in all cases. Resolved Issue with Craft Sync freezing: Now you won't run into the issue that had caused Craft Sync to become unresponsive in certain instances despite the sync completing successfully. See all our Craft release notes. Improved load times: Get to work faster with reduced load times for Freehands and Studio prototypes. Studio prototype scaling: You should notice much-improved scaling when presenting Studio prototypes on an iPhone X. Studio mirroring error messages: Now if you run into an error when mirroring a Studio prototype, the error message will be more detailed and useful. Deep linking: You may notice several improvements for deep linking in this release, including deep linking into Studio prototypes. Performance improvements: Your experience should be better in general with version 2.7.3, as we've made numerous performance improvements for the app. Introducing user test mode: Easily run more effective, more realistic user testing sessions with the new user test mode, which lets you disable hotspot hinting and swiping within the app. Performance improvements: Your experience should be better in general due to numerous performance improvements for the app. Platform Security: To address the publicly known Kubernetes vulnerability that could allow unauthorized privilege escalation, we have updated the infrastructure. The following release notes apply to InVision Cloud V7 only; these do not apply to InVision V6. Direct links to comments: When reading your comment notification emails, you can now click View Comment to open the specific comment in your document. Play button on screens overview page: When hovering over a given screen on the screens overview page of a Studio prototype, you can no longer run into the bug that had sometimes caused the Play button to get clipped on the right side. All InVision Cloud V7 document links now unfurl as expected in the Confluence Server Add-on as well as the Trello Power Up.